When Leobardo Sanchez, 30, of Como, was stopped by a Hopkins County Deputy for a traffic violation, he had three small children, a baggie containing a crystal like substance believed to be methamphetamine and a Camo 22-caliber Mossberg 702 Pinkster with magazine inserted and round in the chamber. The serial number on the weapon had paint covering the serial number. The deputy had asked Sanchez to exit the vehicle and asked if there was anything illegal in the vehicle. With consent to search the vehicle, the deputy had the children to exit the vehicle and stand near the rear of the 2018 GMC crew cab Sanchez was driving. The deputy found the suspected meth under the floor mat on the driver side and the loaded weapon in the backseat of the vehicle. Family was contacted and the children and vehicle were released a family member, who came to the location. 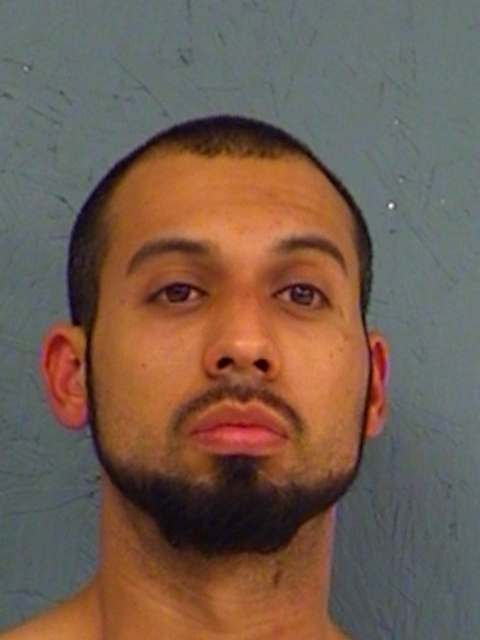 Sanchez is in Hopkins County Jail charged with Possession of a Controlled Substance Penalty Group 1, less than 1-gram.